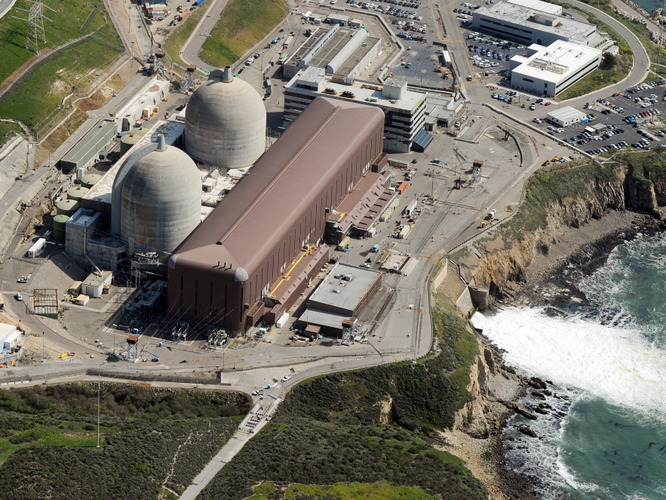 PG&E was denied permission to charge ratepayers $80 million for costs the utility giant estimates it will incur applying for permission to extend the life of the Diablo Canyon nuclear power plant in Avila Beach another 20 years. Instead, an administrative judge with the California Public Utilities Commission (CPUC) put PG&E on notice that it first must complete high-energy, three-dimensional offshore studies to determine the exact force and velocity of the new fault line discovered three years ago just a few hundred yards off the coast from the nuclear power plant. PG&E had requested $80 million in ratepayer funding to pay for its federal license renewal for both reactors at Diablo Canyon. On Dec. 21, Robert Barnett, an administrative law judge for the California Public Utilities Commission, the state’s chief energy regulating agency, ruled that PG&E’s application shouldn’t be considered until long-awaited seismic studies for the region around the plant are complete. With a suspended application, Weisman said, PG&E would have been allowed to use all the data it’s already collected as part of its relicensing application. But because the judge denied the application, he said, PG&E would have to use data collected only after the new seismic studies have been completed. Likewise, new requirements that PG&E take steps to better cool the water offloaded into the ocean by the reactors might make Diablo Canyon significantly more expensive. VP of Australian Medical Association – Can Japan do better than Chernobyl?